Dr. James A. Manganello, Provia Laboratories Chairman of the Board, has been appointed to the National Stem Cell Ethics Committee (NSCEC) of The Bahamas. As a leading international private equity consultancy, Grace Century’s cutting-edge stem cell biobank project, Provia Laboratories, specializes in high quality biobanking (the collection, transport, processing, and cryogenic storage of biological specimens). As Provia continues to expand its reach outside the US, I feel it is important to share our experience and expertise to strengthen the legal and ethical infrastructure for stem cell therapeutics around the world. 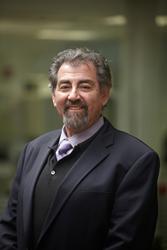 Grace Century portfolio project, Provia Laboratories, announced the appointment of Dr. James A. Manganello, Chairman of the Board, to the National Stem Cell Ethics Committee (NSCEC) of The Bahamas. The appointment was made by the Ministry of Health on behalf of the Government of The Bahamas on September 24th, 2014. More than a year after Bahamian Parliament passed the Stem Cell Therapy and Research Bill, Prime Minister Perry Christie said the government has completed the accompanying regulations and expects to begin approving applications for stem cell centers this month. Dr. Gomez, Minister of Health, said that the regulation of the stem cell therapy industry will lessen the potential for abuse and will ensure the highest standards of research and treatments are adhered to. Three committees have been established; the National Stem Cell Ethics Committee (NSCEC), the Scientific Committee, and the Compliance Committee. 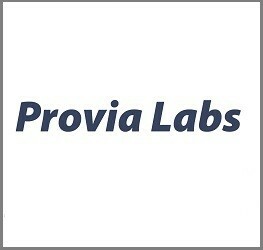 Provia Laboratories, LLC (http://www.provialabs.com) is a health services company specializing in high quality biobanking (the collection, transport, processing, and cryogenic storage of biological specimens). Its dental stem cell banking service, Store-A-ToothTM, gives parents the option to store stem cells today to protect their children’s health tomorrow. Store-A-Tooth preserves stem cells from baby and wisdom teeth that would otherwise be discarded, so parents can be prepared for advances in stem cell therapies that someday may help treat conditions such as type 1 diabetes, spinal cord injury, heart attack, stroke, and neurological disorders like Parkinson’s and Alzheimer’s. 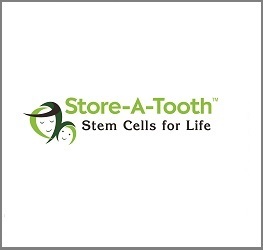 For more information about Store-A-Tooth™ dental stem cell banking visit: http://www.store-a-tooth.com or http://www.facebook.com/storeatooth. Grace Century FZ LLC is an International research and private equity consultancy located in Ras Al Khaimah (north of Dubai) in the United Arab Emirates (UAE). Grace Century specializes in “game-changing” life science and health related private equity projects. For more information, visit http://www.gracecentury.com.